I still use Facebook a lot, and I know a lot of others who do too. Sure, there was some attrition, but it is still one of the most useful networks out there for connecting to a lot of people easily, Zuckerberg is a smart guy and is always looking for ways that he can utilize all that data he has, and all that connectivity. He gets accused of megalomania once in a while, but he does great things like this that more than put a pin in the criticisms. 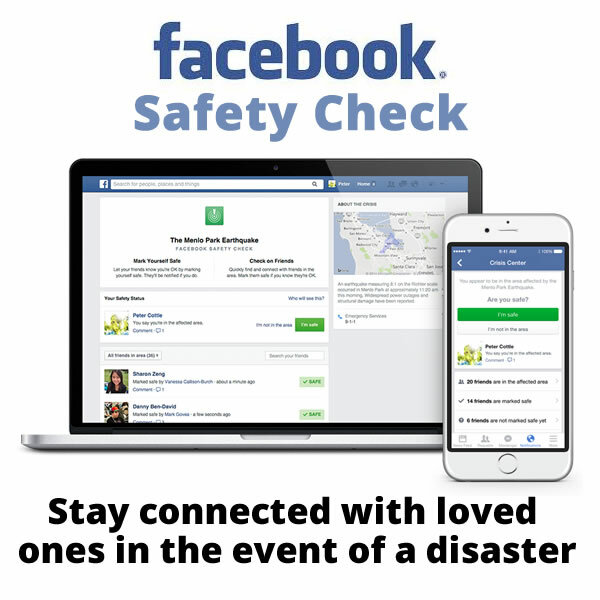 Facebook Safety Check is a great idea. It sends a message to everyone in an affected area – currently the Nepal area hit by the earthquake, and it allows others to check in and see who is accounted for. What a great way to allow people to put each others’ minds at rest. Ideas like this and Apple’s researchKit turn technology, which can often be little more than a repository for novelty junk, into something useful. It’s a good thing. One way to escape the boom and bust that fad based start-ups benefit from and fall victim to, is to give people something useful – if all you are doing is giving them something fun or funny with no other application, at some point you run the risk of the novelty wearing off, and then you are left high and dry. Thankfully I have never had to use Safety Check, and I hope that I never will, but as social networks and online acquaintances extend your sphere of influence and give you a greater opportunity to interact with people from place you may never physically visit, the likelihood of knowing someone in a disaster hit area increases. Something that has a degree of selflessness from a company that could be accused of fostering the self obsession of a lot of people is something to celebrate, and it has great PR potential. Just imagine the value of reuniting a lost person with his family and friends – it’s a great thing to do, and it is a great thing to be able to tell people you did.